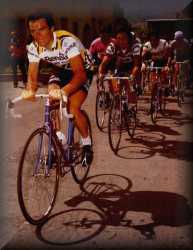 As part of his build up to winning the 1979 Tour of Lombardy, Hinault stretched his (and a few others') legs in Italian races. 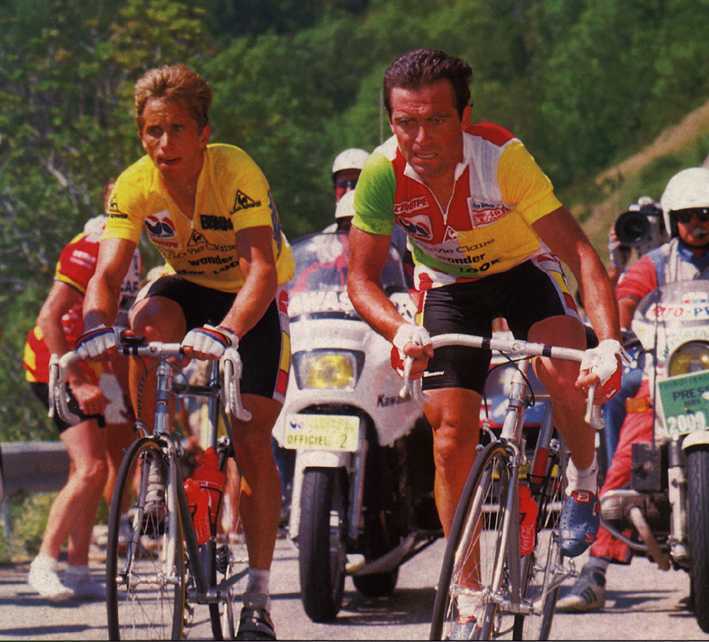 Hinault leads Giuseppe Saronni and pink jersey Wladimiro Panizza in the 1980 Giro d'Italia. 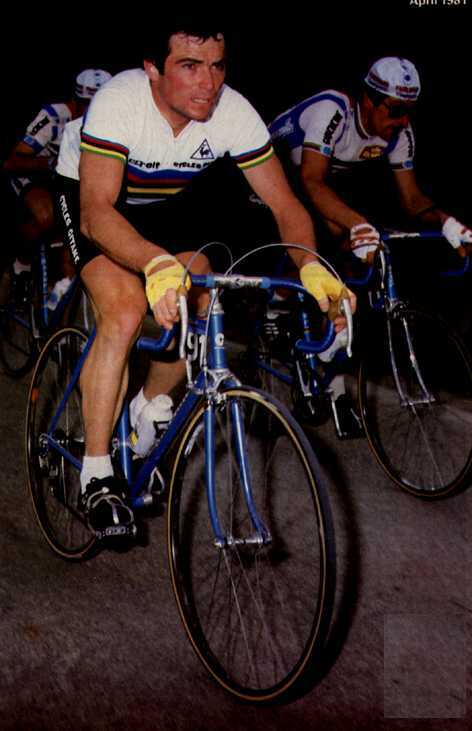 Unusual colours for King of the Mountains Hinault in the 1986 tour which he lost to team-mate Greg Lemond. 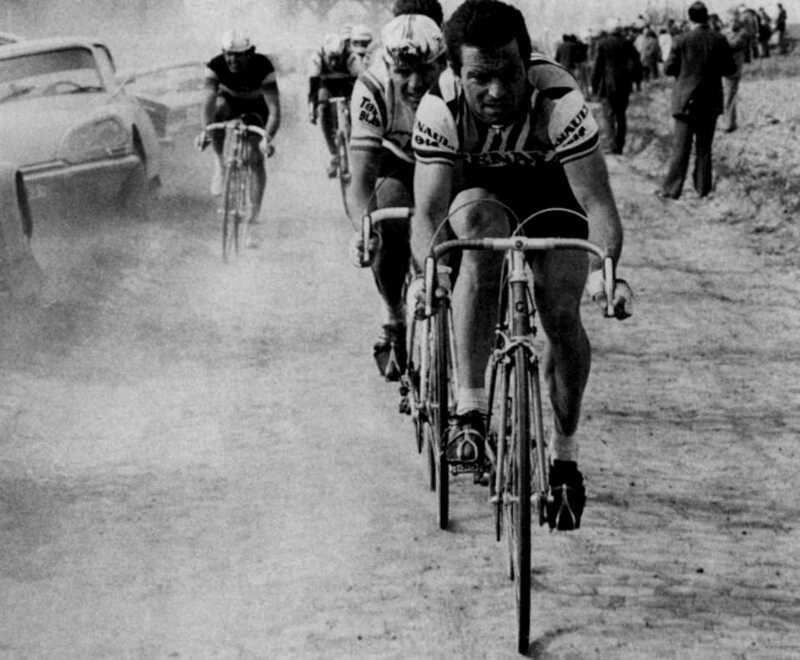 What a b*****d! 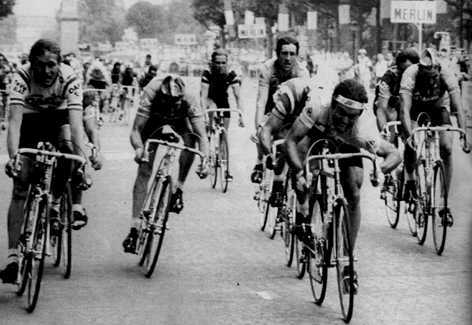 Most yellow jersies are content to promenade down the Champs Elysees and leave the final stage to the sprinters. 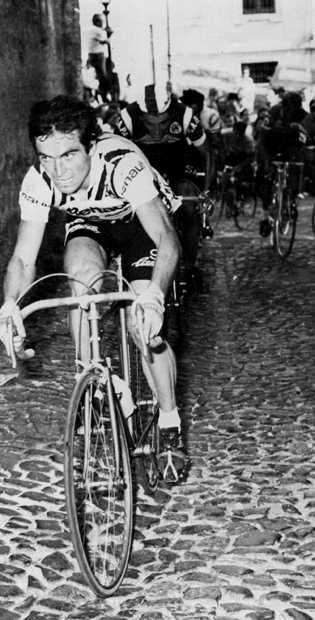 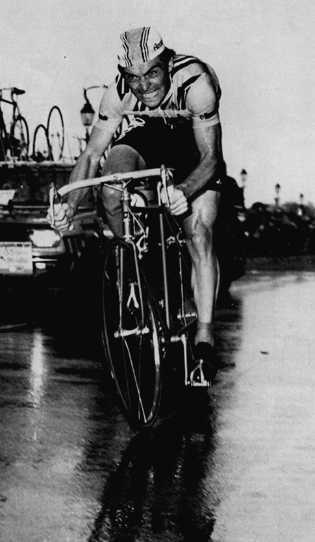 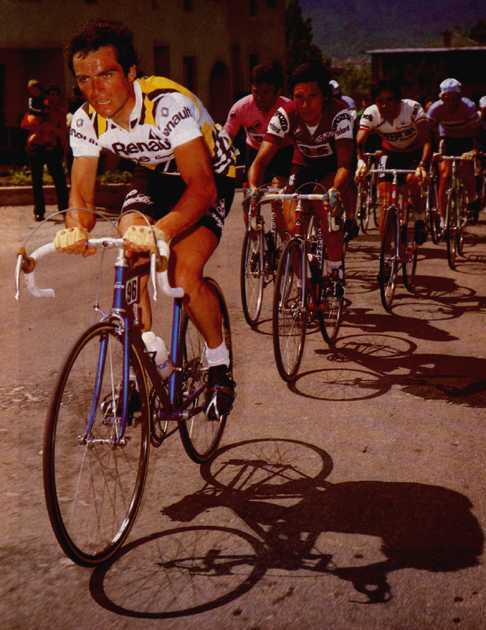 Not Hinault, who probably made no friends when he gained his only road victory of the 1982 tour on the final stage. 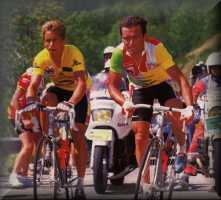 Hinault bowed out somewhat ignominiously after the 1986 Tour when he failed to beat - and to help team mate Greg Lemond.